“Challenging” and “rewarding” best describes the PADI Rescue Diver course. 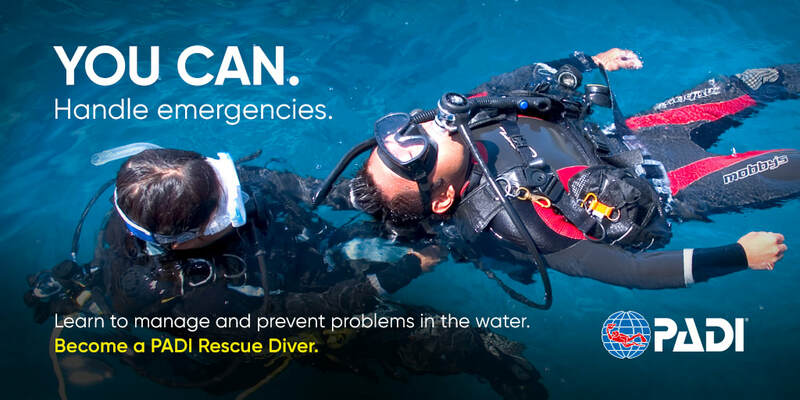 Building upon what you’ve already learned in your Open Water and Advanced Open Water Diver courses the Rescue Diver course expands on what you already know about how to prevent problems and details how to manage them if they occur. Minimally this is a great course for every diver to complete, we generally dive with someone we know or love, typically a close friend, or a family member, so why wouldn't you want to be able to feel confident that should the unexpected happen you could safely and calmly, to the best of your ability deal with any given situation with confidence and a cool head. Having said that, this course is one of the most challenging and fun courses to complete! The fun part about this course is rising to challenges and mastering them. Most divers find this course both demanding and rewarding, and at the end, say it’s the best course they’ve ever taken. You’ll use all your basic scuba gear including a dive computer, a pocket mask and accessories. certifications saving you over £140!